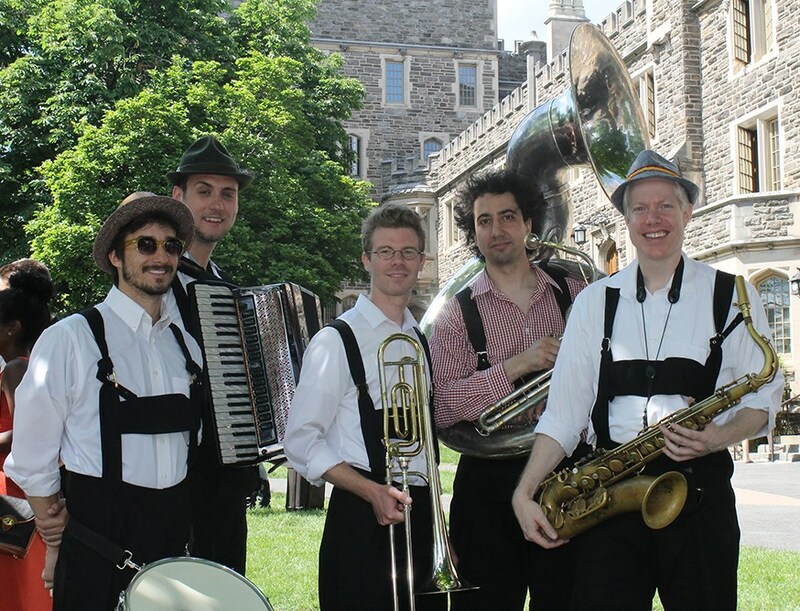 A tuba, trombone, trumpet, and accordion walked into a bar lamenting the lack of fresh approaches in the genre of polka. Two rounds and one passionate conversation later, Polkadelphia was born. 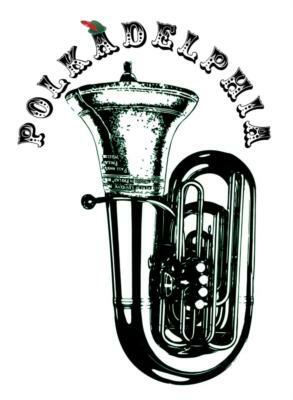 Not your ordinary oompah band, Polkadelphia plays both traditional tunes as well as modern cover songs by artists like Radiohead and the Beatles. Polkadelphia was featured at The Porch at 30th Street Station for their beer garden during Philadelphia's beer week. They have played at various city festivals including the Kahn Park Summer Concert Series and the 40th Street Summer Series. Each time, they whipped the audience into a waltzing, polkaing frenzy with their combination of classic polkas and polkafied classics. 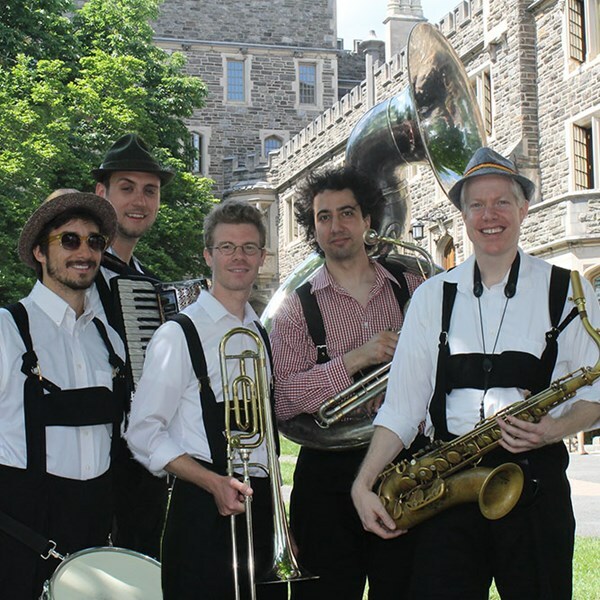 Whether rocking out at the local biergarden, strolling through the bustling tents at Oktoberfest, providing a unique cocktail hour experience for a wedding, or getting your party started Polkadelphia style, they always bring the haus down. They MADE the event single-handedly. They entertained the crowd the entire event and made it one that every attendee would remember. We received compliments during and after the event specifically about the way they incorporated newer and older popular songs to the polka themed party. This is a band you should not overlook because this could be the one aspect that could make or break the event and for us they totally, 100% made it. I would recommend to anyone and everyone. These guys were amazing. Flat out. They were more than accommodating and willing to assist with making our reception exactly the way we wanted it. They had a great knowledge of all the different types of music, and were able to add their specific and unique sound to the songs we wanted to hear. The band had a great personality and were a blast to be around. They not only played great music but also got our guest into the spirit. They definitely made the difference between a good party and great party. I can not recommend these guys any more ! Polkadelphia is amazing. There are not words to express how positive our experience with them was. They are incredible musicians. They play their instruments so well and with such flair. They sound great together. Their polka-fied modern hits are nothing short of genius. They were 100% available to talk logistics prior to wedding. They understood what we were looking for, and they were excited to work with us to make our party exactly how we wanted it. Third, they are hilarious and excellent MC's. Our guests commented on how great the band was and how well they made the party flow. Polkadelphis is fun, talented, and professional. You cannot go wrong hiring them. They were fantastic! I put a lot of time and thought into my Oktoberfest for my clients of 135. German Food, German Beer, German Decor, but Polkadelphia gave the overall feeling of a traditional Oktoberfest! My clients loved them! I would recommend them without hesitation! Polkadelphia came ready to give us the true Oktoberfest experience and they delivered. The club couldn't be happier with their fun filled and professional performance. They combine fine musicianship with a friendly and fun interaction with audience. Thanks Dan - Well done!! The band was EXCELLENT. They played nonstop, and made our Oktoberfest celebration a great time. They were extremely accommodating to our requests, and even learned some music on the fly as a last minute request. I would recommend these guys to anyone. You are guaranteed to have a great time. This band was just great! They arrived right on time, needed very little help to get going and took care of all of our requests. Very authentic German music mixed in with fun twists on modern music. They absolutely made the party! We will be sure to call them again next year. At first, I was uncomfortable going through a service that I was not familiar with. Everything went smoothly and uneventful. Dan and the guys were fun and all my Mercedes clients loved them. Perfect Oktoberfest band! Their fee is not way out there and was reasonable. Don't hesitate...you won't be disappointed. Polkadelphia definitely made our Biergarten event more festive. They are fine musicians, and very friendly, accommodating (playing a favorite that was requested) and professional. They turned up right on time, set up, and were ready to go. They told us what they needed from us long beforehand (just one electrical outlet and shade), and they took care of everything else. We will definitely hire them again. Polkadelphia was great to work with! The band rocked it and we have already had requests from visitors to have them back next year! They made our Oktoberfest more festive! Please note Polkadelphia will also travel to Langhorne, Trevose, Bensalem, Bryn Athyn, Feasterville Trevose, Huntingdon Valley, Beverly, Croydon, Holland, Abington, Cheltenham, Jenkintown, Levittown, Riverside, Riverton, Bristol, Elkins Park, Hatboro, Palmyra, Richboro, Warminster, Willow Grove, Wyncote, Burlington, Glenside, Willingboro, Dresher, Fairless Hills, Horsham, Moorestown.